Take on this incredible challenge with Team Chance for Childhood and follow in the paths of Olympians and Paralympians! Over 100 miles, this amazing opportunity takes you through closed streets of the busy capital into the stunning Surrey countryside, all while raising money for the the most vulnerable children in Africa. With leg-testing climbs and a route made famous at the 2012 Olympics and Paralympics, this ride is a truly spectacular event for all involved! You can ride even if you missed out on a ballot place. The ballot is now closed, but don’t worry if you missed out! Apply for one of our guaranteed charity places now for your opportunity to take on this incredible event. We only have a limited number so make sure you apply soon! There is no registration fee, but we do ask that you raise a minimum of £600. 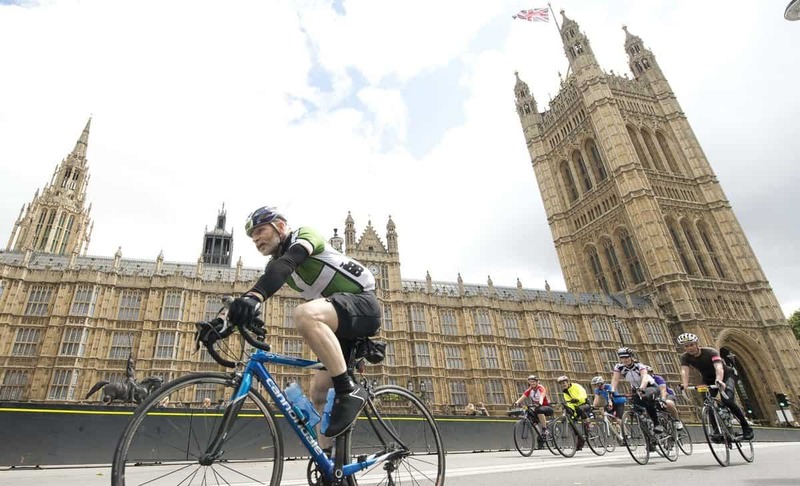 Are you one of the lucky ones who has already secured a place at the Prudential RideLondon-Surrey 100 2019? We would still love to have you on Team Chance for Childhood! Get in touch at supportercare@chanceforchildhood.org or call us on 01483 23 0250 to learn about how we can support you. Find out more about the ride on the Ride London website.